Fantasy , 16 Jan 2016I have got z5 premium dual for one week it seems everything is okay but I discover that while ... moreI am just wondering where some people coming from or they just know how to think. If Sony did not provide a dedicated chamber for the its speaker to provide sound baffle and absorb resonance, then its obvious that vibration can be felt around the drivers. 8knots, 11 Dec 2015I think LG G4 only supports micro sd up to 128 GB but I guess you won't care about that :)I have got z5 premium dual for one week it seems everything is okay but I discover that while playing music with high volume level you can feel there is a vibration on the back panel specilay on the uper side ( uper speaker) I dont know if its a hardware issues or software issues. Its reallg annoying. The internet comments you should take it as a pinch of salt. Doesn't this have the same "auto shutdown" problem like that of the M5 dual? Anonymous, 13 Jan 2016then you are lucky...just go through the trailing reviews...most complains about overheating i... moreReviewers just said that the Z5 heats up quickly if you use it to run heavy apps such as gaming in a prolonged time and that's true but doesn't mean that the device is overheated, You do that on other devices and the same thing will happen. Again, heats up quickly =/= overheated. Z5 User, 11 Jan 2016Don't buy if you have hard-earned money, its over heating drawback will kill all your thrill o... moreI have two z5s... black and gold I have not encountered any such issues of yours so you must be a troll, you must be liar. AnonD-476070, 11 Jan 2016Anybody know where to buy UCH10 in malaysia ? Or on what website to order (in asia of course) ... moreBoth are same except for the sim slots, Z5 dual will also get the same updates as Z5, Sony had already mentioned this in their blog. Anybody know where to buy UCH10 in malaysia ? Or on what website to order (in asia of course) ? And Z5 dual and Z5 is just a same model and spec except for sim slot right ? So the z5 dual will get update same just like Z5 isn't it ? Please reply anyone. 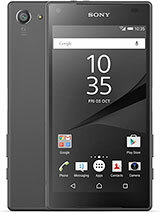 hari, 09 Jan 2016In soon i will buy this mobile........BUT i want to known How its gaming performanes?Don't buy if you have hard-earned money, its over heating drawback will kill all your thrill of owning such an high-end mobile. 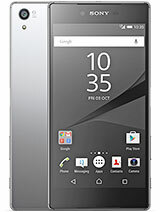 Guys...i bought a SONY Geyser at 48,000....This Geyser looks like Sony Xperia Z5. Now i came to know why SONY made this phone water resistance, use it for 5 mins and put it inside water until it cools down. i think this phone is made for countries/regions with heavy rain or snowfalls, so that this phone gets cool down as soon as it heats up. but, this phone has its positive side also....am using this phone to light-up my cigarette, iron my clothes and make hot water for bathing. Lucky guys, if your phone doesn't heats up try your fortune in lottery too. AnonD-218710, 10 Jan 2016I have been victim of over heating, and wud like to pass over 810 processor, even cooling tub... moreSince it is water resistant, soak it in a cold water when it gets hot. LOL! I have been victim of over heating, and wud like to pass over 810 processor, even cooling tubes inside cannot stop it. Discontinuation, sometimes release three models in a row, to save it's bad reputation. Just wait for Z6 release with 4k full applicable. It wud be launched this year. All you people will, repent!